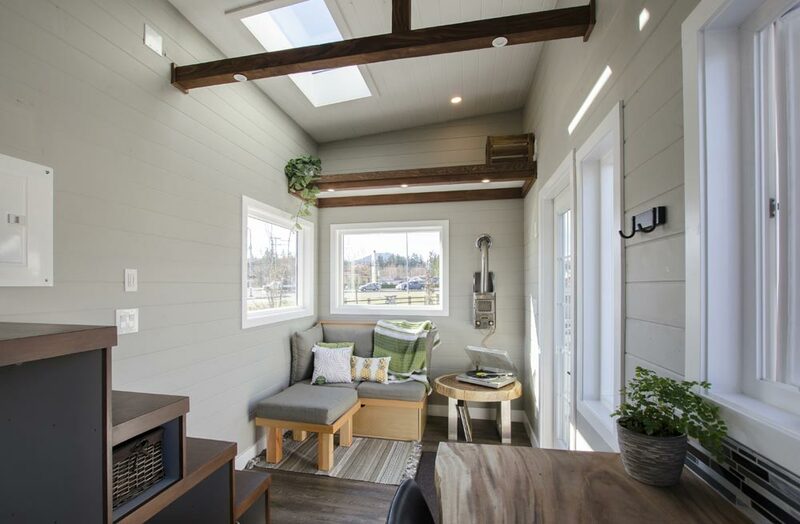 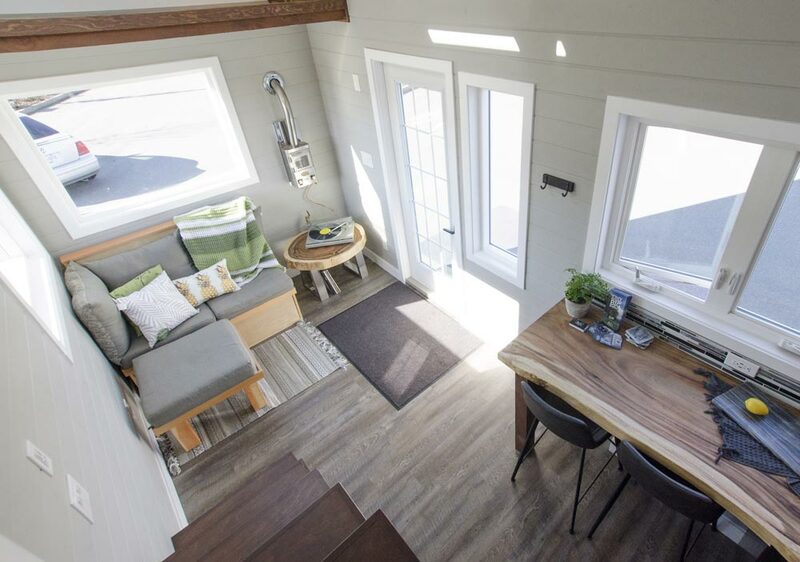 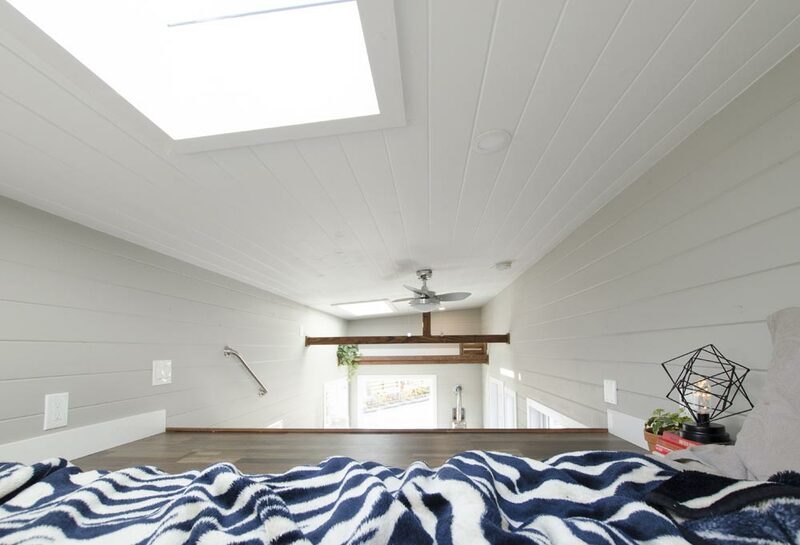 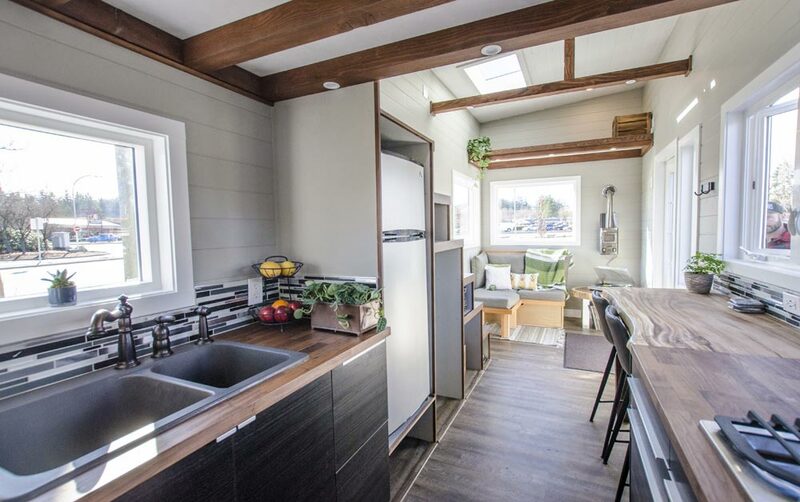 Built with locally sourced western cedar siding, the Fox Sparrow offers a spacious, modern interior with a large master loft and live edge breakfast bar. 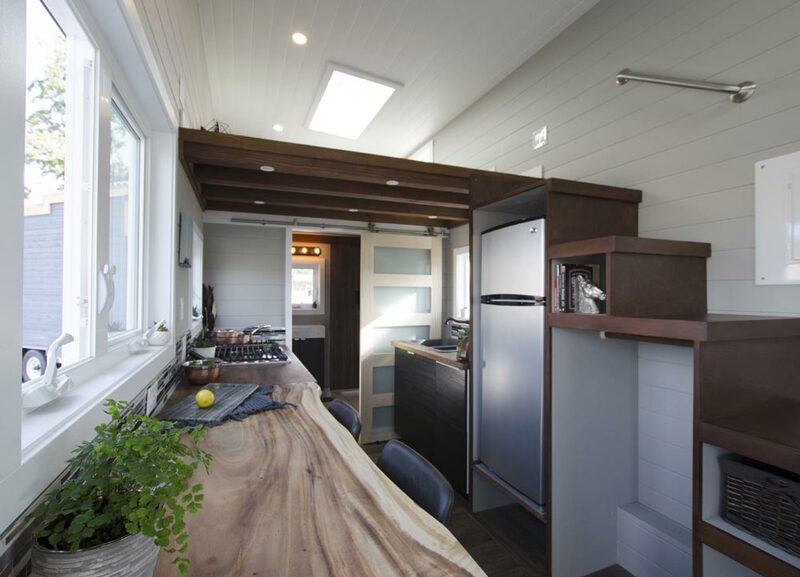 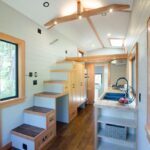 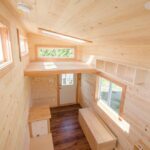 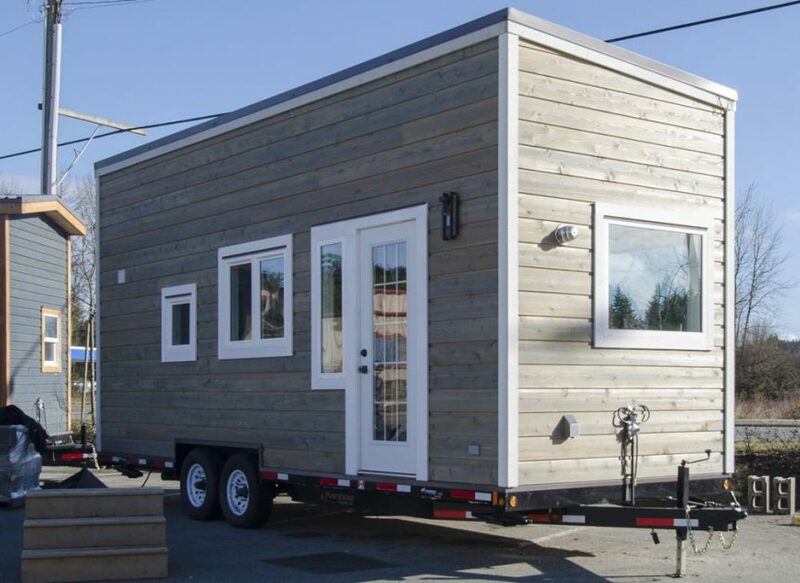 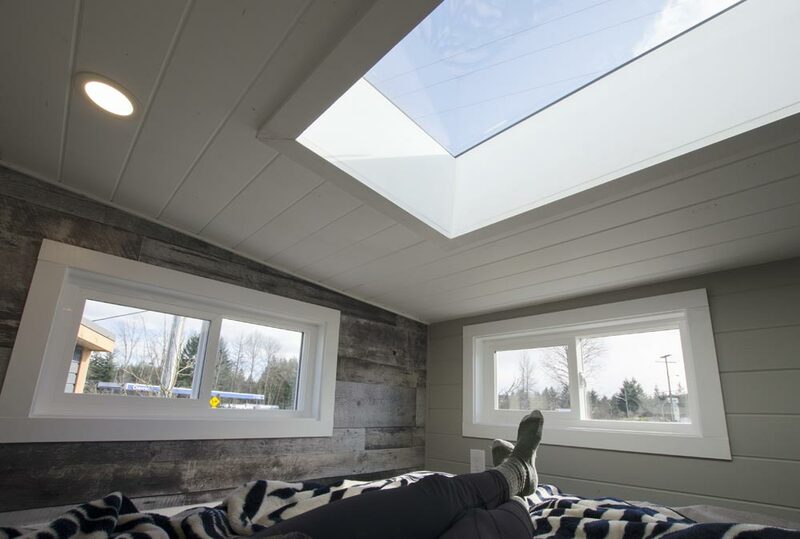 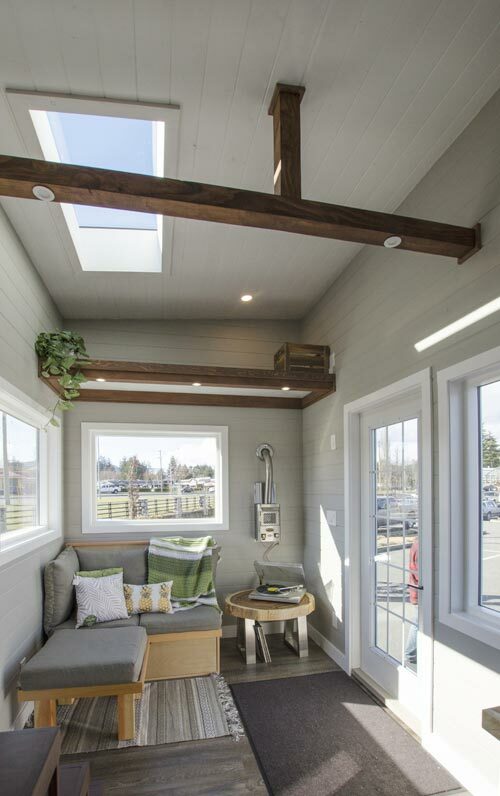 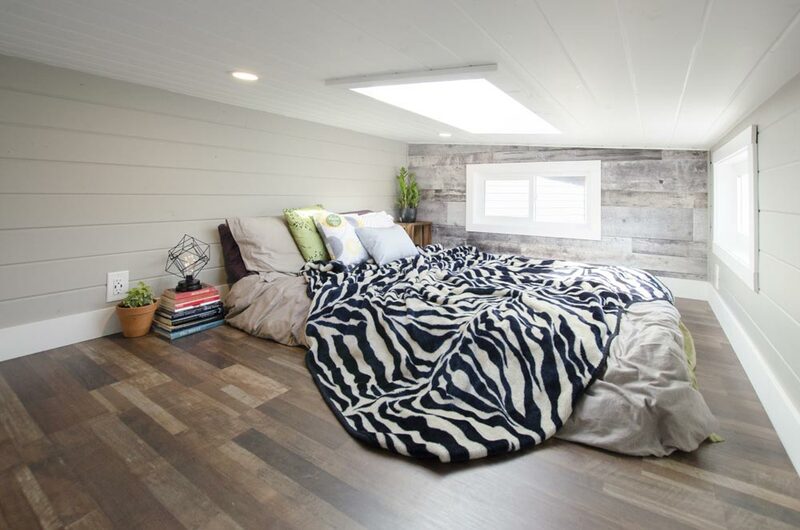 The 24′ tiny house was built by Vancouver Island-based Rewild Homes and features two skylights and open beams. 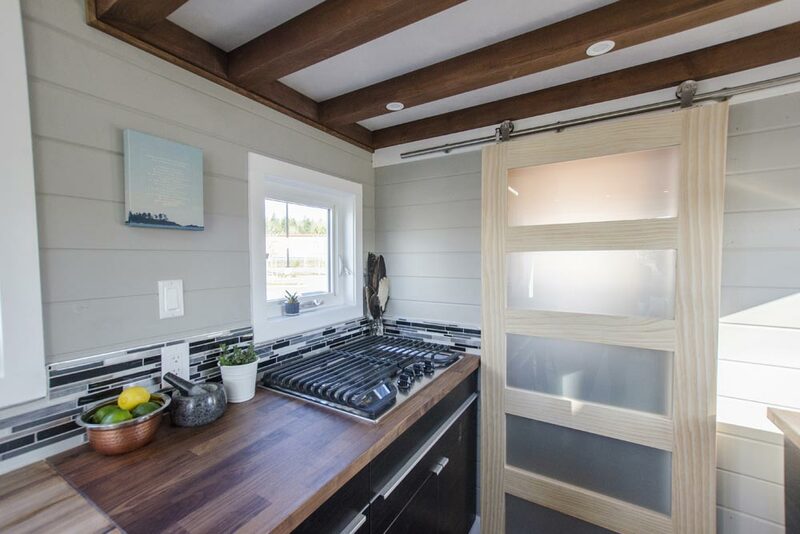 The kitchen is outfitted with a double black granite sink, stainless steel refrigerator, and a four burner propane cooktop. 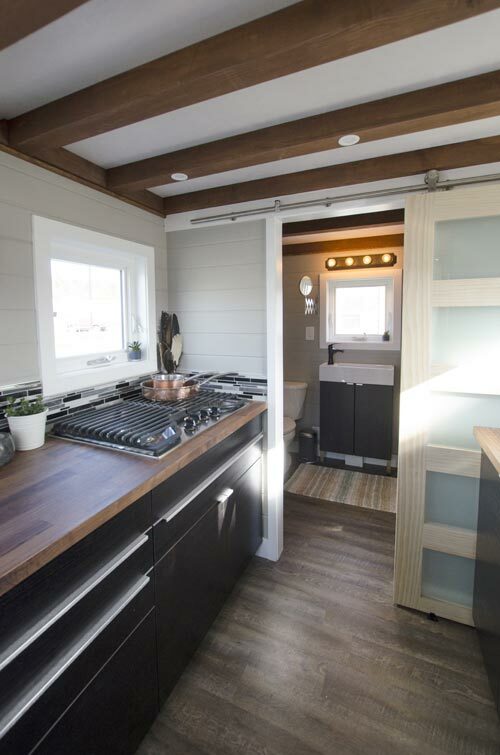 Soft-close drawers are used throughout the house. 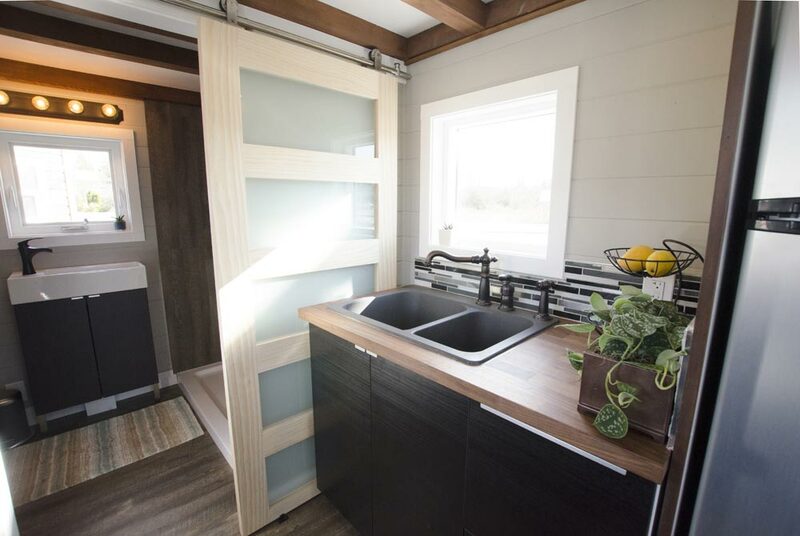 Plentiful storage can be found in the custom bench and staircase. 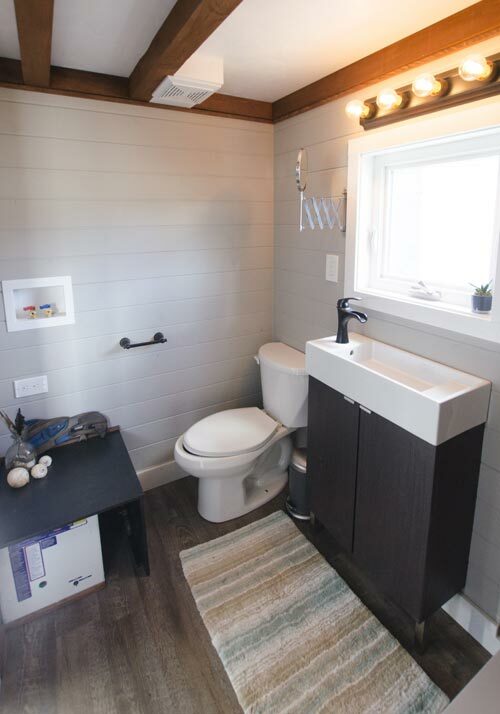 The bathroom includes a glass shower surround and modern vanity. 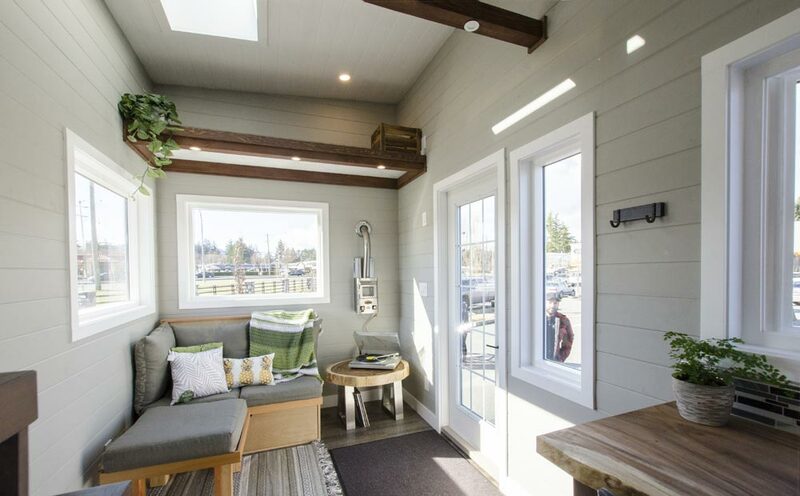 Fox Sparrow was listed for $62,000 USD ($80,000 CAD) and is located in Nanaimo, BC. 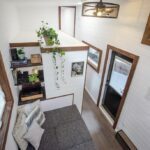 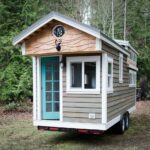 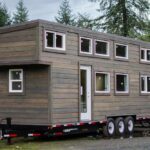 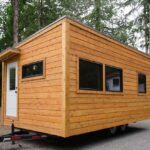 More details can be found on Tiny House Listings.